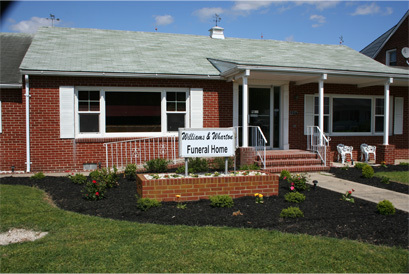 Williams & Wharton Funeral Home provides compassion and quality care. We invite you to visit our newly renovated facility that features a comfortable waiting area, a viewing room and two offices. Our spacious chapel seats 250. Handicap access/parking is also available. Plus, a nearby lot provides ample parking. We assist in planning arrangements for the casket, flowers, obituary, limousine and hearse, memorials, and burial vaults. Additionally, we offer cremation, burial, and pre-planning services. Local florists provide expertise to help you select the appropriate flower arrangement that will express your condolences. Williams & Wharton Funeral Home features a comfortable air conditioned chapel that seats 250, spacious reposing room, dignified showroom, two attractive offices, and a waiting room.